Meet Dylan! 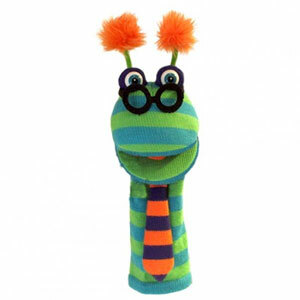 This fabulous knitted sockette puppet looks great with his green and blue stripes, spectacles and his smart knitted tie. He has a full working mouth with a squeaker in his tongue!